WEDNESDAY, Jan. 2, 2019 (HealthDay News) — For many, the start of the new year signals the start of a new diet. But what’s the best way to eat if you want to lose weight? For overall healthy eating, the best diet plan is the Mediterranean diet, according to U.S. News & World Report’s annual diet review. The DASH (Dietary Approaches to Stop Hypertension) diet was ranked second on the magazine’s overall Best Diets 2019 list, followed by the Flexitarian plan. All three plans focus on eating a mostly plant-based diet (veggies, fruits and whole grains), healthy fats and lean protein sources. “I hope these rankings steer people in the direction of doing something healthful,” said nutritionist Samantha Heller of NYU Langone Health in New York City. “I wish though, that we weren’t so obsessed with weight loss and diets, per se. I wish the focus was on adopting a healthy lifestyle, like eating a more plant-based diet, getting regular exercise, getting enough sleep and managing stress, all of which help us live a better quality of life,” Heller said. To that end, she said the top three diets are all similar in their food content, and all can be healthy eating regimens. The Mediterranean diet has been linked to increased longevity and a decreased risk of chronic illnesses, the report said. The Mediterranean diet was also ranked high in multiple categories including: Easiest Diets to Follow, Best Diets for Healthy Eating, Best Diets for Diabetes, and Best Diets for Hearth Health. 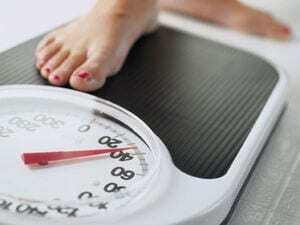 Heller said that many people feel that they need to “kickstart” their weight loss for motivation. The problem with plans that focus on fast weight loss, however, is that they don’t teach you how to eat well every day. “On these types of diets, you often don’t learn how to manage holidays, stressful days or special occasions. You don’t develop strategies for life,” she said. The easiest diets to follow include the Mediterranean diet, the Flexitarian diet and WW (Weight Watchers). The magazine asked a panel of nutrition experts to review 41 diet plans. Like Heller, the expert panelists emphasized the importance of well-balanced, sustainable diets that aren’t overly restrictive. These types of diets can help teach lifelong positive eating habits. Lifestyle diets, such as the Mayo Clinic diet and MIND diet, are healthier and more sustainable than weight-loss plans such as the Ketogenic or Atkins diet are, the panelists concluded. Although the popular Keto diet ranked high for fast weight loss, it landed way down on the Best Diets list — tying for number 38. Other diets at the bottom of the list included the Dukan diet, the Body Reset Diet and the Whole30 diet. “I think that diets that don’t differentiate between healthy and unhealthy fats, over time are ultimately an unhealthy approach to losing weight,” Heller said. But the diet topping any list isn’t necessarily the best diet for you. Choosing a diet is a “very individual thing,” Heller noted, adding that you have to find a diet plan that works well for you. And, hopefully one that teaches you to eat healthy for life. Learn more about the U.S. News & World Report’s best diet rankings.